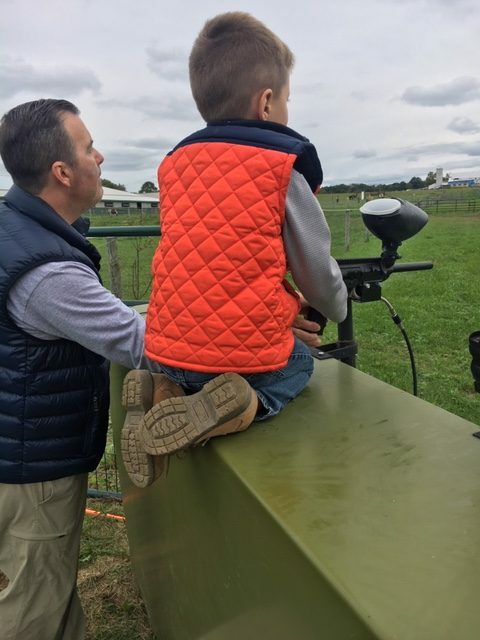 On a recent, cool fall Saturday my husband and I took the kids to Nickajack Farms. We had such a great time! Nickajack Farms is an operational farm, farming over 500 acres in North Lawrence, OH. Right now you can experience their Fall Fest, which runs every day until October 28, 2018; 11am – 7pm then 11 -5 October 29-31, 2018. 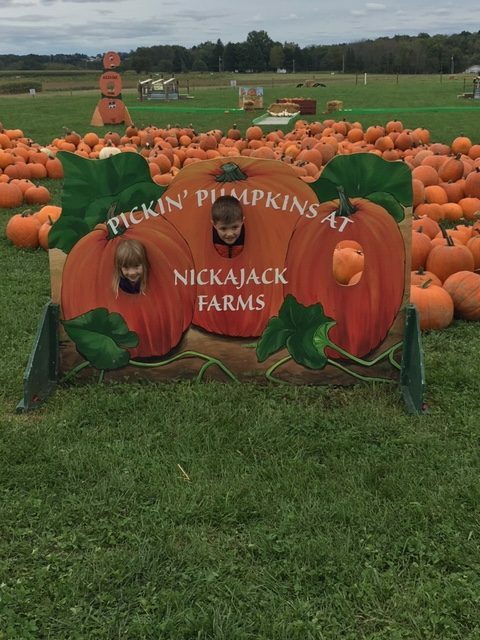 In addition to the Fall Fest and their famous pumpkin patch, Nickajack Farms offers field trips, tours, birthday parties, group events and more. Click here for a Fall Fest group discount opportunity! Pick your own pumpkin is back! Take a train ride out or walk out to the field to pick your pumpkin or choose one of the pre-picked pumpkins out of the picking area. They also carry mums, corn stalks, straw, indoor/outdoor fall decor and more. Stop in on the weekends and eat lunch at the Farmers Cafe. Before you head out, play a quick game of pumpkin bowling or run through the straw path. If you are looking for even more fun, head into the Mane Barn to purchase admission for Fall Fest! 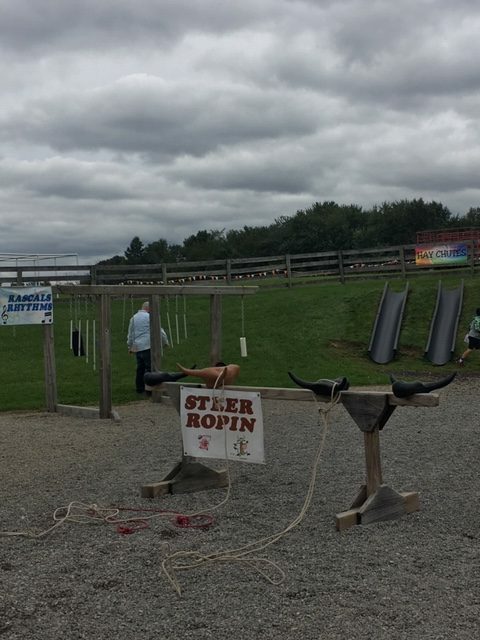 Stop by the corn cannons or paint ball gallery and let off some steam! We loved this part. Find beautiful decor and farm and country-themed items and fresh home-style goodies. The Market is also where you will purchase your goods grown on the farm, decorative corn, pumpkins, gourds, and honey from the bees enlisted to pollinate the pumpkins. Local is the flavor of The Market offering local baked goods and fresh chocolates. We came home with some beautiful mums for our front porch! Land History – Check out this timeline of the history of the land that the farm is on! The creative team of Nate and Amanda worked with local historian David Rankl. NEW! 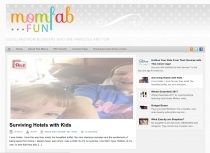 Classroom – This is the new home base for our educational tours and field trips. Poke your head in on the weekends to check it out or for an educational event or talk. 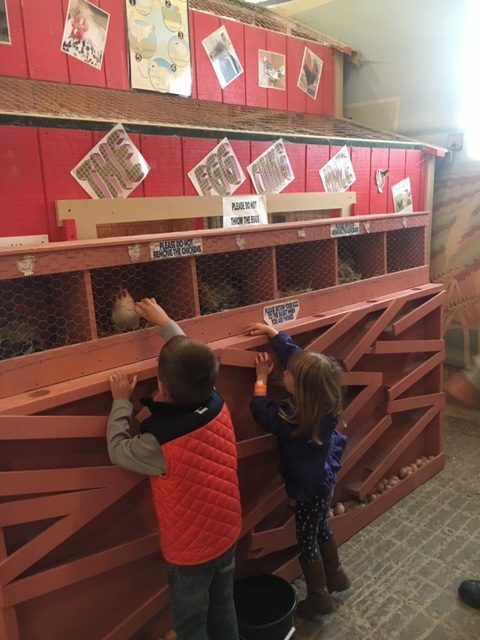 Discovery Barn – Interactive and fun hands-on and educational activities where adults and children can learn more about farm life and the processes that hay and straw go through, the life cycle of a pumpkin and the importance of bees to the life cycle of a plant. Farm Animals – Farmer Joe’s Barnyard is home to lovable farm friends, including chickens, pigs, sheep, cows, llamas, alpacas, goats big and small, and Dakota the mustang. 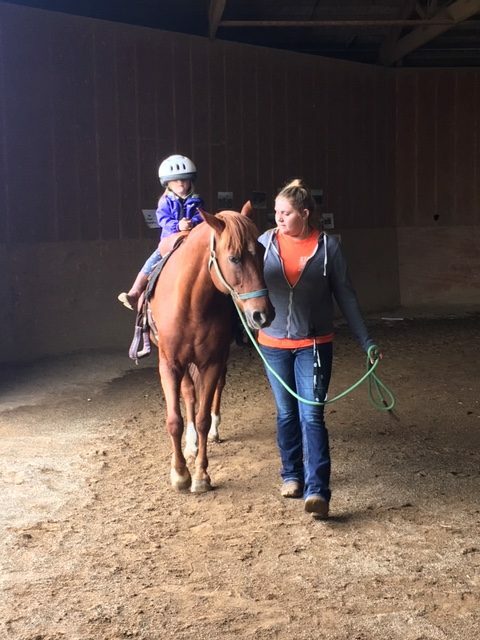 Be sure to stop by the Horse Education center and meet the lesson horses, peek in the indoor or outdoor arena and you may see a lesson in session. Rascals Round Up – Rascals Round up has grown over the years! It is full of tons of fun! Igloo – Delivered straight from Massillon’s Rezzy-Fest this fun little home is great for running through and hiding in! Rascals Rhythms – Create a tune with some of the basic things you find around the farm. Hay Chutes – Climb the hill and slide on down. Pretend you are one of the hay bales on the way to the bottom of the hay-mow! Rascals Rollers – Run your way to fun on this human-sized version of a hamster wheel. 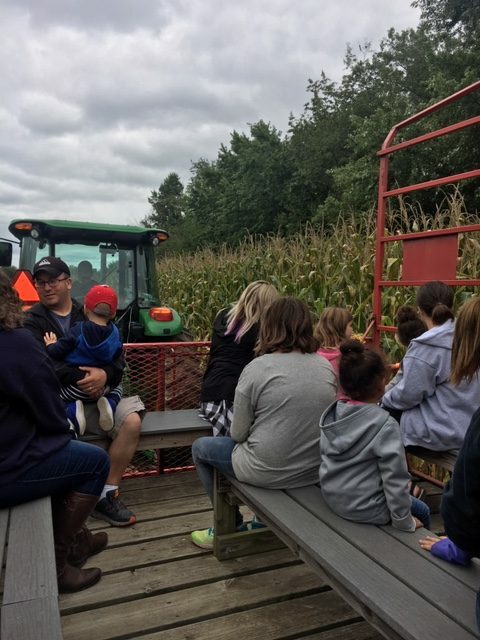 Hay Rides – The 30-minute ride takes guests out through the corn field and around the farm. Pedal Carts – Now part of the Fall Fest admission! Race your friends or parents around Rascals Roundup Pedal Car Track. It is not as easy as it looks. 3 Piggy’s Plan and Build – Hey little ones, head into the shed, plan your home and then build it with lots of different building materials! Construction Zone – Great fun in the sun building, playing, and getting wet. Move some sand and water with our tools and trucks! Tire Dragons – Find dragon friends around the farm! Tons of fun to climb on, through and round! Playground – A great place for the little ones to slide and swing. They can climb all over the wooden tractor and pretend they are out on the harvest. Obstacle Course – Check out the newly-added items to the obstacle course! It will be a test of your strength and endurance! Great for adult friends too! NEW! 4 Square in the Air – Tons of fun for every age. Check it out today! Corn Maze – The 7-acre corn maze. This is lot of fun for the whole family! Filled with fun Corny activities for you and your little ones to have a laugh with! Gourd Golf – Fun for everyone, try your hand at Gourd Golf, set up with obstacles and putting greens. Putt your way around with the unpredictability of putting with a gourd! NEW! Corn Box – It is new, improved and larger than ever! Pumpkins – Huge selection of pumpkins in lots of sizes and colors. Also available for purchase are gourds, Indian Corn, corn stalks, and straw bales. Corn Cannons – See if you can hit the targets or how far you can launch a piece of freshly grown corn! This add on feature is $2 per bucket of corn ammunition. NEW! Thumper Junction – This new fun rabbit filled adventure is the perfect place to have a little bunny snuggle time! NEW! Paint Ball Gallery – Take a shot at fun and creative targets! Farmers Cafe – On weekends join Chef Eric Popovich from Bella Sera Restaurant in Massillon at the Farmers Cafe for a delightful meal or a light snack. Chef Eric will bring the best of his restaurant to the farm as well as some pumpkin based specialties. Nickajack Farms is also proud to host a number of photograph opportunities. Bring the kids back year after year and see how they have grown next to their cute and delightful figurines. Remember, the Fall Fest runs until October 28, 2018; 11am – 7pm then 11 -5 October 29-31, 2018. Admissions are as follows, but be sure to click here for a special Fall Fest group discount!